We recently had the privilege of spending a day with one of our favorite organizations, MudLOVE, brainstorming on how we could work together to help our friends in Africa. The hope of MudLOVE is to be an inspiration to people, not just providing Africans with clean water, but also encouraging and loving broken people. What one may lack in clean water, another may lack in love. MudLOVE does this by creating art from clay and then allowing people just like you or me to sell clay wristbands, mugs, and other pottery items that raise money for our friends in Africa. At Blood:Water, we love stories like MudLOVE. MudLOVE started as a one person thinking creatively on how they could make a difference in Africa. That one person has now helped thousands in Africa and the U.S. 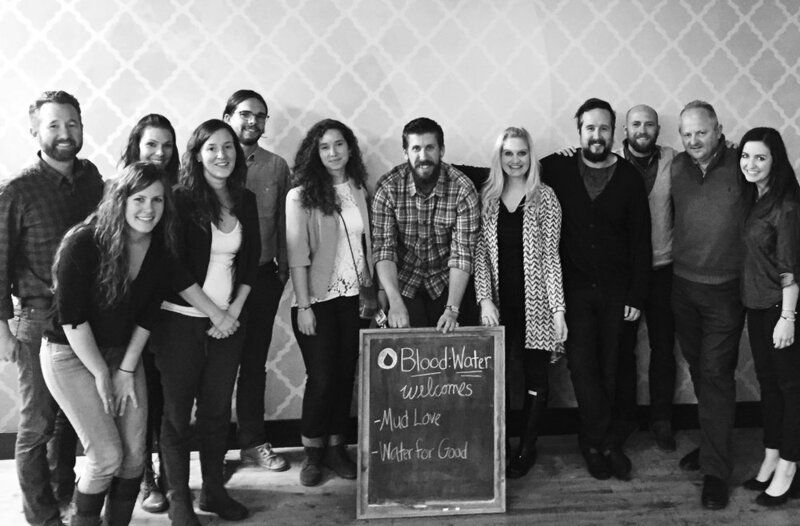 Blood:Water is excited about working with them to have an even greater impact across Africa. We encourage you to check out the work they are doing and supporting these great friends. What will be your MudLOVE? How can you take your creative passion and turn that into action? Today is the day to get started!